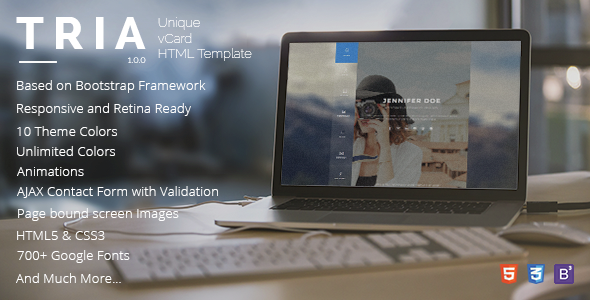 TRIA is a premium unique vCard HTML Template to display your resume and portfolio for either your personal or professional work. It offers the ability to display different images per page. Being developed on Bootstrap framework makes it fully responsive on any device or tablet. It comes with 10 theme colors to choose from and can be easily customized.